﻿ Sangto Green Guest House, Leh | FROM $18 - SAVE ON AGODA! "The meals each evening are delicious and so much fun, as all..."
Have a question for Sangto Green Guest House? "The garden within the property is beautiful with colourful flowers, vegetable plants and apple trees." "Such a lovely place, beautiful view, yummy and fresh-from-own-sweet-little-farm food will surely make your stay one of the best." "The rooms & bathrooms were clean." Designed for both business and leisure travel, Sangto Green Guest House is ideally situated in Leh; one of the city's most popular locales. From here, guests can enjoy easy access to all that the lively city has to offer. With its convenient location, the hotel offers easy access to the city's must-see destinations. At Sangto Green Guest House, every effort is made to make guests feel comfortable. To do so, the hotel provides the best in services and amenities. While lodging at this wonderful property, guests can enjoy 24-hour room service, free Wi-Fi in all rooms, 24-hour security, daily housekeeping, taxi service. Sangto Green Guest House is home to 8 bedrooms. All are tastefully furnished and many even provide such comforts as linens, mirror, slippers, sofa, towels. Besides, the hotel's host of recreational offerings ensures you have plenty to do during your stay. 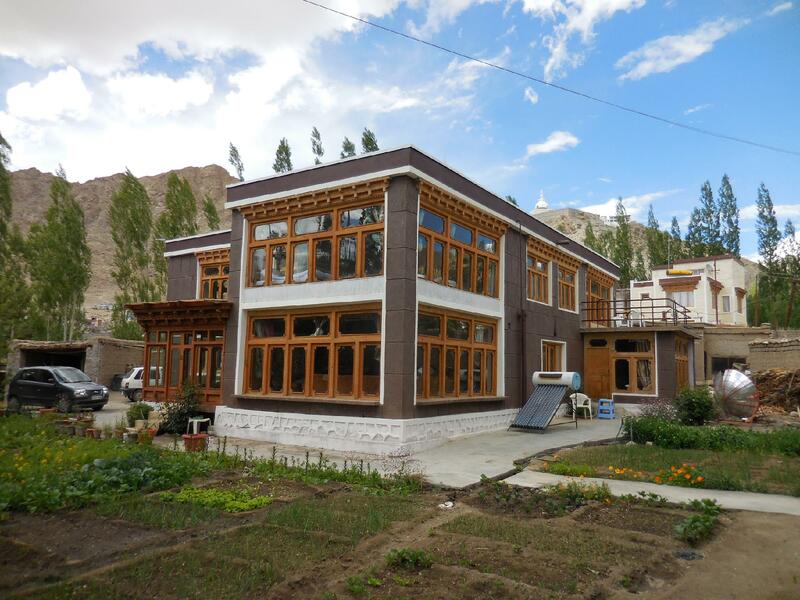 Whatever your reason for visiting Leh, the Sangto Green Guest House is the perfect venue for an exhilarating and exciting break away. "Owners are very warm, always smiling & always ready to help..."
Hello Sumita. The photos of your hotel that we saw online and when we came at the site personally was a mis match. Your staff, Rahul in particular, was a big disappointment. Arrogant and Full of Attitude. As for as breakfast goes, its really boring to have parathas every morning. That too so bad preparation. Breakfast was a big disappointment. You need a major improvement here and please keep some options here. Your help though was good, planning itinerary, bike ride routes etc. Impressive and thank you for this. Overall, not so good experience. Definitely will not recommend this to anyone. Thank You. It’s near to stupa, free airport pickup. Staff don’t speak lots English but friendly. Rooms were spacious and clean. Hot water was available in the bathroom for 24 hours. The garden within the property is beautiful with colourful flowers, vegetable plants and apple trees. The staff were pleasant. The breakfast served was methi parantha with apricot jam which was very tasty. Sumita di (owner & manger) of the homestay was awesome, I had she helped us get inner line permit even before we reached Leh. She also arranged for Cab for going to nubra valley, pangong lake & local tour. The rooms which we stayed (Room No 107 & 106) were fantastic with clear view of the ice capped mountains & gardens. The rooms & bathrooms were clean. We had was buffet dinner, which was very good less oily (like home cooked). Would recommend everyone to stay here while visiting Leh, if you don't want to stay in noisy & busy leh Market area. Everything was laid on. It felt like a home, looked after brilliantly by the owners. There are other resorts in town much better located and cost literally 1/3rd the price of this one. We paid 2200 a night while for the rest of the days we stayed at a much better resort for 800 a night with much better and clean rooms, bathroom and friendly staff. It's a trap for international tourists are normally looking to book online since there aren't many hotels in Leh that can be booked online. Stay away! Hotel is nice, i read the reviews about the owner before booking it. She is really a nice person and helps in anyway possible if needed. She can help you plan the whole itinerary. You can also do cooking in her kitchen if you wish. Cons: It lacks dustbin, heater. Rest all is fine. Room service is slow but it is bearable. No near by restaurants. Excellent hospitality, very kind and supportive staff & owner. You will feel homely at this place, its worth spending time there. I would recommend to chose the guest house for your trip. We were stayed here for 6 nights. Beautiful view, very good & clean room with facilities. Quit and peaceful location 15 mins to the main market by taxi. Moreover, we are so Impressed with very kindness guest house owners. They are friendly and helpful. Advising and Arranging car rental for our hold trip. One of our friend got bone fracture form an accident. She was falling down from camel. Miss Sumittra and her husband the guest house owners were take care of our friend. He took us to the hospital and take care all the medical process contacting the doctor...so helpful. 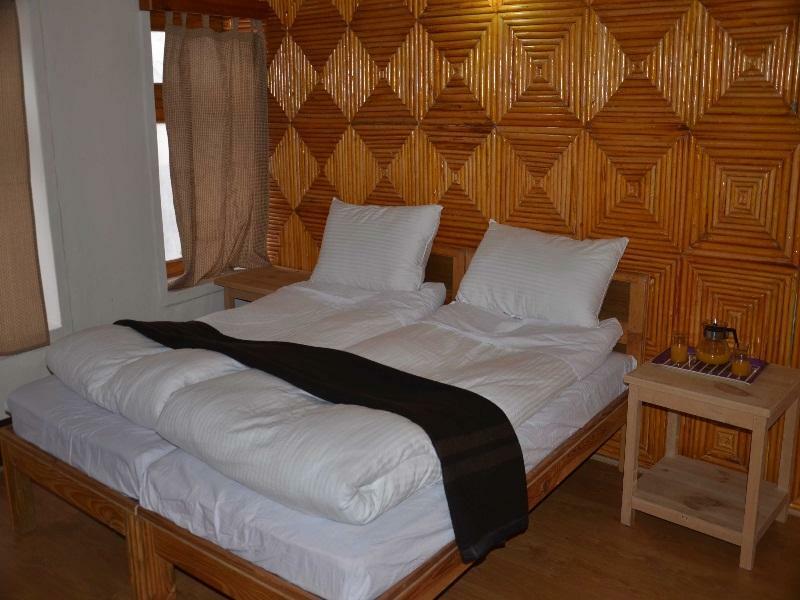 If you are looking for a good and safe guest house with very warm welcome, Santo green guest house would be your home in Leh. We had travelled about 15 days before the season starts since this was our only chance at this vacation. We had booked for first 2 days via Agoda and we checked in about 2 hours early. The hosts at the property were welcoming and immediately ensured we are taken care of. We ended up staying for 5 days with them and they continue to surprise us with their love and hospitality. Madam literally acted like a mom away from home at most times. She ensured we had our travel booked(if not, she got us conveyance at a discount). She ensured we are well fed. We had full access to kitchen, not only did she ensure we get what we like eating, she also let us kitchen as and when needed. She ensured we were well packed for Pangong by offering us extra jackets etc. for free. We had full access to wi-fi, to cable television and to hot water when needed. She ensured we have the best time possible in Leh. I had a lot of fun living here and it almost felt like i am leaving a family behind when we left. I would whole heartedly recommend this place to any traveller. Quaint and cozy guest house amidst a stunning landscape with the warmest hospitality I experienced throughout 6 months of travel! I really couldn't have asked for a better experience at Sangto Green Guest House. My friend and I booked our stay here for a few days based on the good reviews, and were absolutely blown away by our experience here - we ended up staying a week! Sumi and her family are so kind and helpful and made us feel like we were a part of the family. She went out of her way to help us book daily excursions and even track down flight deals through the local travel agent. The meals each evening are delicious and so much fun, as all of the guests gather in the living room and share some of the tastiest food I had in India! I feel lucky to have gotten to know Sumi and her family, and still stay in touch with her and other guests we met during my stay. If you are looking for a place that feels like home away from home, this is it! Super courteous and lovely owners who go out of the way to make you feel at home, Clean, warm n cozy surroundings, Comfort food that's yum! First visit to Leh and stay at Sangto made it even more memorable! The apple trees, the warm interiors and the owners and their family make you feel truly at home! The rooms were clean and cozy and one is sure to fall in love with this place! From the living room where everyone gathers around to share their stories plus the lovely home-cooked food, to their inviting kitchen where anyone can drop in to cook, Sangto is a must-visit! They planned our daily tours brilliantly to make our tiny holiday sweet and eventful. Cheers to the lovely family who have made Sangto Guest House a magical snug home. Be sure not to miss their apples and apricots!